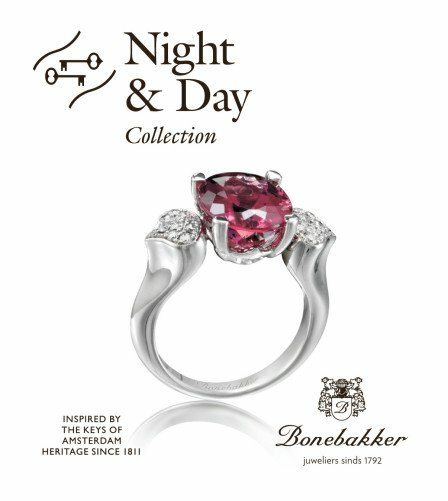 Bonebakker jewelry Amsterdam opened its doors in 1792 and has been an institution in the Netherlands ever since. Adrianus Bonebakker was famous as a gold and silver smith among the Amsterdam elite and he confirmed this fame with the production of silver keys of the city of Amsterdam to Napoleon (1811) and with a 419-piece silver cutlery set for Prince William II (1818). All of our sales team are both passionate and knowledgeable about diamonds and gemstones, and the manufacturing process. So if you have an idea for an item of bespoke jewelry, talk to us about your dream ring- and we’ll help you make it a reality by our talented goldsmiths. While roots will remain embedded deep in the age-old tradition of selling diamonds and manufacturing high jewelry, world renowned brands like Piaget and Pasquale Bruni as well as haute couture pieces from upcoming designers Casato, dinh van and Maxim Voznesensky are now the new focus for Holland’s oldest and most respected jewelry house. You are most welcome to visit our boutique in Amsterdam. We often work with overseas customers sending sketches and if necessary 3D-models in order to be able to create your perfect piece of bespoke jewelry. Everything is possible!